Corporate parties offer a sneak peek into the culture of your company or organization. And word travels fast in a small community like Milwaukee. Creating a positive guest experience is a great way to boost your business’ reputation, lead to a fruitful fundraising effort or simply boost company morale. As your professional corporate catering partner, we can meet your corporate budget while serving the best food Milwaukee has to offer. 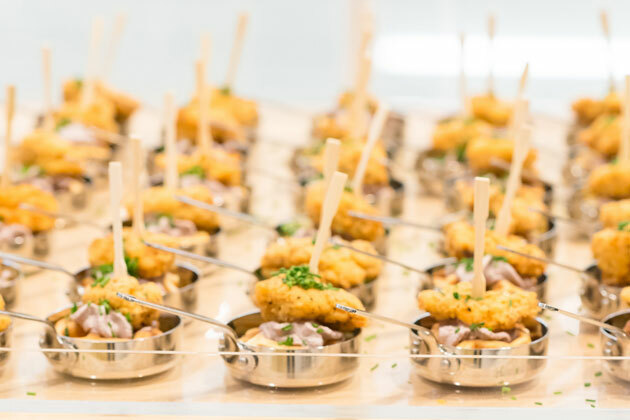 Whether it’s a casual picnic at the Milwaukee Public Museum or a beautiful evening gala, our corporate menu ideas will complement your event goals. So get ready to leave a lasting impression with these culinary delights! Our job is to help you pick food and drinks that will enrich the vibe at your venue, satisfy your guests’ appetites and stimulate inspiring conversation. For casual lunches or classy evening events, we have a few suggestions that may strike your fancy. Warm panini sandwiches and delicious sandwich wraps: When you have employees gathered for a midday session, offer a simple, healthy meal that satisfies and helps them focus on the daily objectives. For example, board meetings, seminars, workshops and team-building retreats include knowledgeable discussions that often require creativity and open-mindedness. Select from ham, grilled vegetable, beef, chicken chipotle bacon or California turkey club and finish with cookies, an interactive sundae bar or slices of pie a la mode. 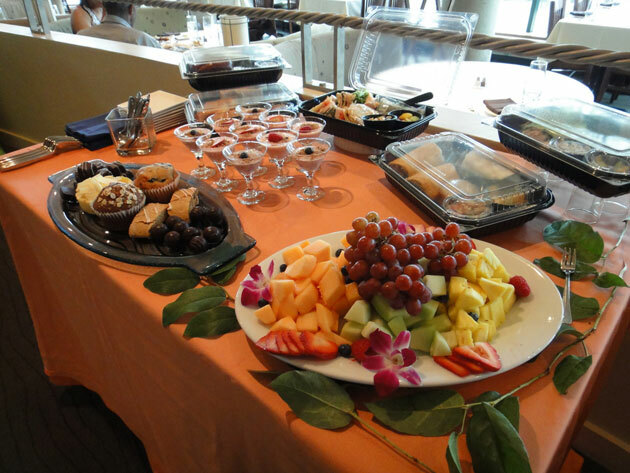 Continental breakfast or a lunch buffet: Since the food at a conference can sometimes be the most exciting part, keep your corporate guests stimulated with delicious menu items that are always ready when you need them. 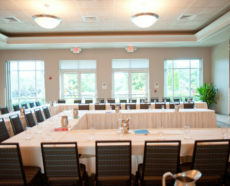 Whether it’s a networking event, press conference or a full day of scheduled sessions, our continental breakfast (which can include an omelet bar!) or lunch buffet will keep everyone happy. 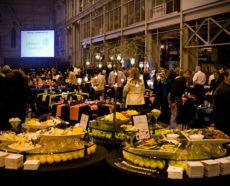 Tropical cocktail hour: If the goal of your networking event is to inspire conversation and new ideas, then please allow us to offer passed hors d’oeuvres or set up delicious food stations. A tropical menu is fun, fresh and inspires a laid-back vibe. Ideas include plantain chips paired with our mango signature drink that has a touch of tequila! 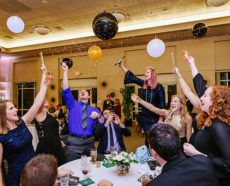 Include a full open bar for the hour to offer something for everyone there. 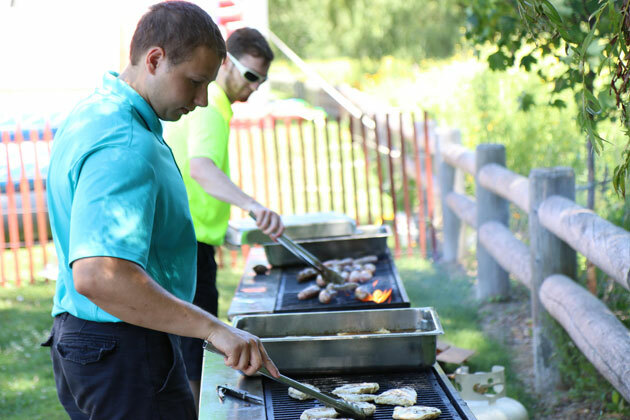 Grilled picnic food: We’ve been catering picnics in Wisconsin for over 50 years, and we are sure that our in-house trained staff will serve the best grilled food imaginable. Among the reasons to host a company picnic is the obvious—to taste new food. We look forward to the opportunity to offer just that. Our ribs are grilled on-site, and our specialty side dishes are top-notch. Keep everyone cool outside with infused water stations and assorted lemonades. Mini sandwich tenderloin: Freshly sliced and served by our on-site chef, it’s one of our favorite menu items right now. If you are launching a new product, this easy-to-eat, savory menu item will be a pleasant surprise for your potential customers. It may even encourage them to stick around longer to learn more about what you are offering. Duet plate or “chicken on waffle”: Dinner galas and evening parties will have guests dressed in their finest attire. Treat them to a meal that exceeds their expectations. A duet plate of tenderloin chicken and short rib is a divine meal when paired with our seasonal vegetables. “Chicken on waffle“ is our take on the Southern specialty known for its exquisite presentation and savory taste. Add a customized signature drink or wine sipper station for a classy touch. Braised short ribs, savory tenderloin, chicken bruschetta or parmesan risotto: Let guests attending your awards dinners, fundraisers, executive dinners or charity functions enjoy time getting to know each other during a special plated dinner. Our floral centerpieces from Adorn will dress tables that already look sharp with the gorgeous dinner plate presentations. Along with beer, choice wines, sodas and waters, you could also serve a custom signature drink that complements your event theme. Finish with a plated trio dessert or house-made chocolate crepes. 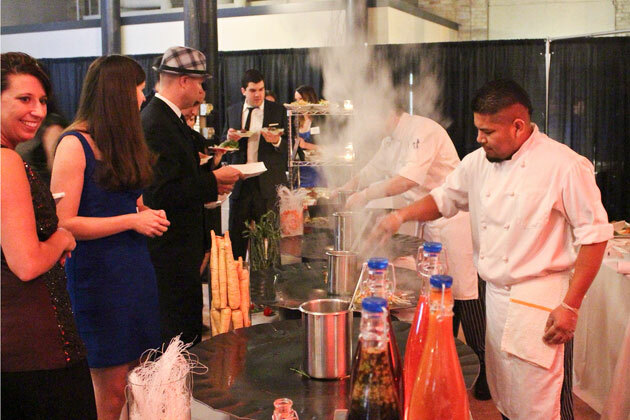 Interactive food stations: If you hope to instill some energy into a client appreciation dinner, we suggest an exclusive themed party complete with live music, interactive food stations and one of our favorite desserts, flaming donuts! 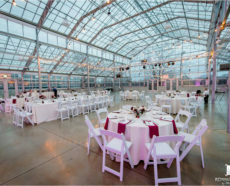 Your corporate event doesn’t have to feel like work! And it won’t when you partner with a Milwaukee catering company who specializes in creating stress-free events with delicious menu items. The memories shared among your guests will boost company morale and may even improve the workplace. 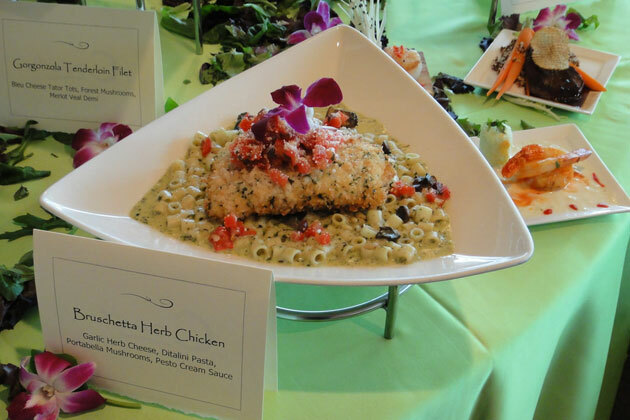 If you would like to plan a custom menu that matches the goals of your next corporate event, we would love to speak with you. Please contact us on our website or call us at 262-547-9447.